Chart of data from the 2015-'16 state report cards showing student performance index scores and percentage of economically disadvantaged students. A report commissioned by three groups representing officials from traditional public schools shows what they call a strong link between student performance and household income - in other words, kids in wealthy districts do better on tests on average than kids in poor districts do. 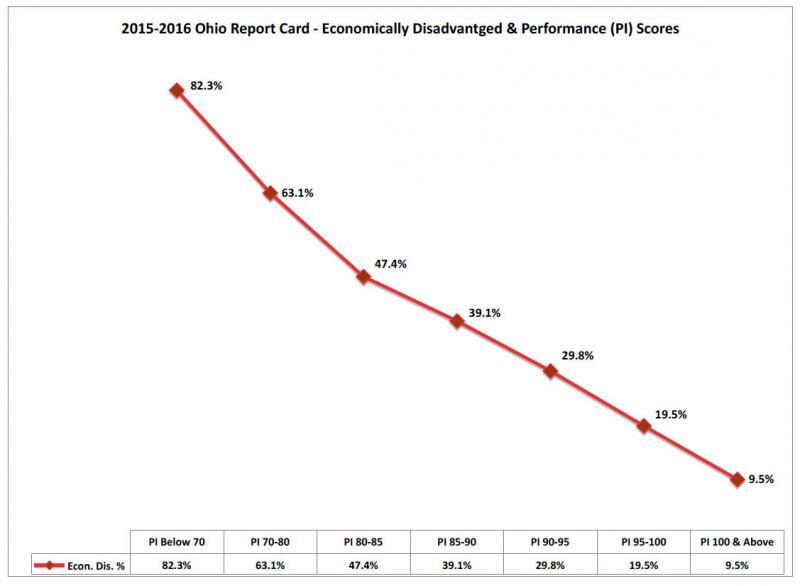 The report from the Ohio Education Policy Institute has graphs that slant straight down – as the number of economically disadvantaged students rises in a district, the average student test score declines. 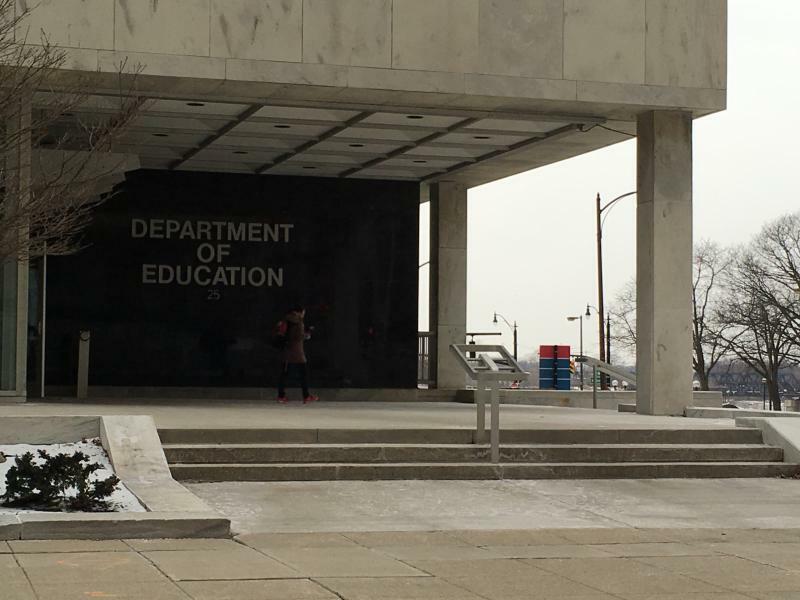 Tom Ash with the Buckeye Association of School Administrators said pointing out a connection between poverty and student performance isn’t an attempt by schools to shift the blame for low test scores. “We didn’t do this to try to provide any excuses for anybody. We wanted to see what the relationship was,” Ash said. 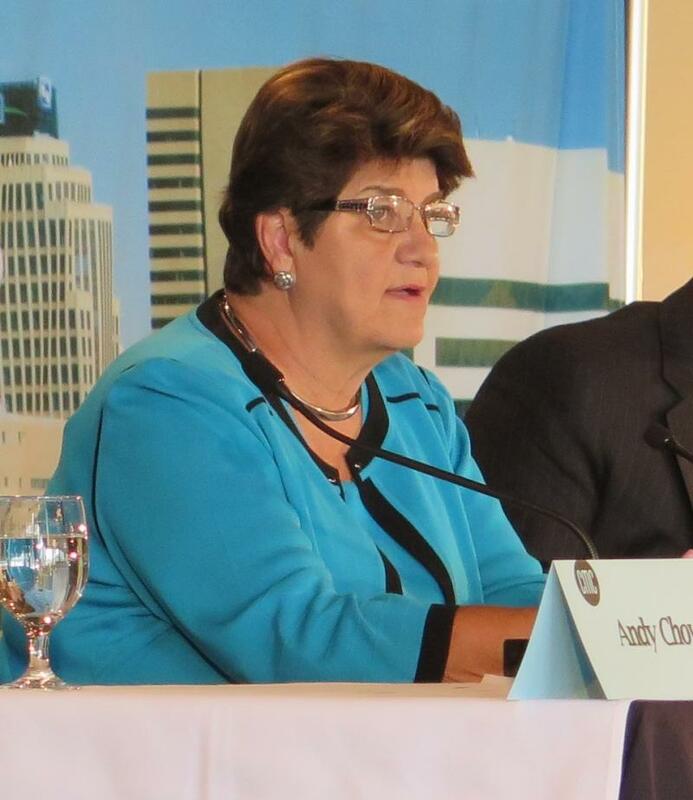 And Ash says this link has been shown to have been constant for several years, so this year’s result can’t be pinned solely to increased standards – which was the reason offered for the many bad grades districts got on this year’s report cards. 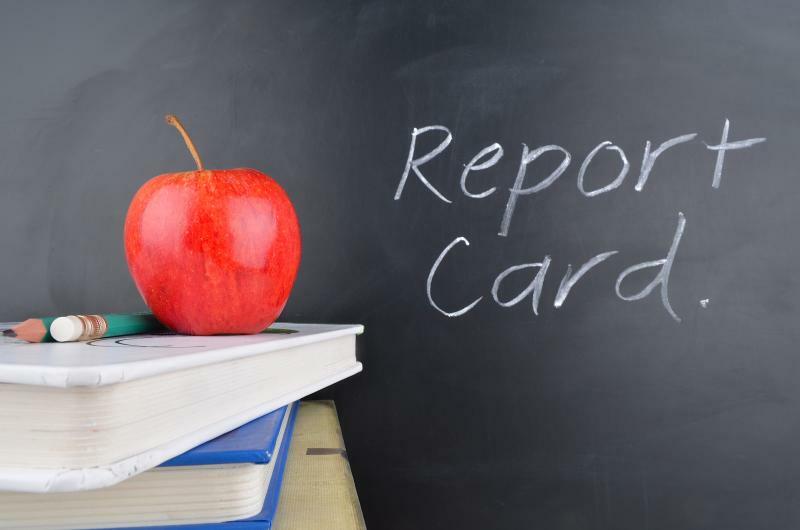 The state school report cards are out and, just as leaders warned, the grades are much lower than usual, with just a fraction of Ohio’s districts scoring top grades in a key area – student test scores. Traditional public schools and charter schools were both on the receiving ends of much lower grades on their state report cards. But one charter advocate says he has an important message for parents.